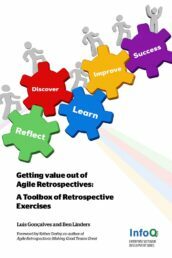 Use the Retrospective Exercises Toolbox to design your own Valuable Agile Retrospectives! 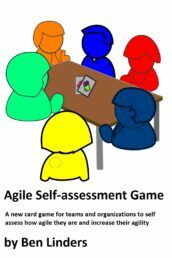 One technique often used in agile retrospectives is to ask questions to the Scrum team, and collect and cluster the answers. Based upon that, improvements can be defined that the team can do in the next sprint, which help the team to improve continuously. 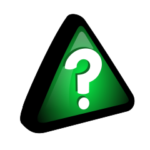 Asking questions is a technique that is easy to learn, but the effectiveness depends on the questions that you ask to the team. So let’s explore the questions that you can ask in a retrospectives. 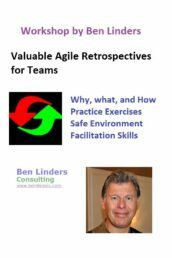 Asking Questions is a retrospective exercise which is included in the successful book Getting Value out of Agile Retrospectives that Luis Goncalves and I have written. Order your copy from any bookstore (including Amazon, iBooks, Scribd, etc)! See also the translated editions, available as eBook in my webshop. Feel free to contact me and let me know what you think of our book! 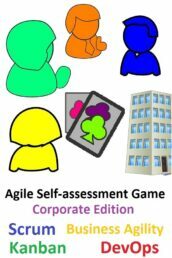 The book from Norm Kerth was originally intended for project retrospective, but my experience is that much of it is also useful in agile retrospectives. 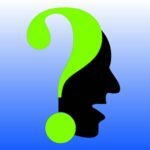 I’ve been using the 4 retrospective questions for many years, for me they have shown to be very effective. I like the question “What did we do well”, it’s a Solution Focused approach to find strengths which can be deployed to improve further. The addition “if we don’t discuss we might forget” makes this question even stronger: If something good happened by accident, that’s great, but what can you do to assure that you will keep on doing it? Also the question “what puzzles us” has given very useful insights for teams, by revealing things which had remained unspoken before I asked the question. How did you do this sprint? What is your biggest impediment? Which things went smoothly in this sprint? Which didn’t? The trick is to pick the ones that help the team to get insight into the main/urgent issues and improvement potential, and adjust the questions where needed during the retrospective. 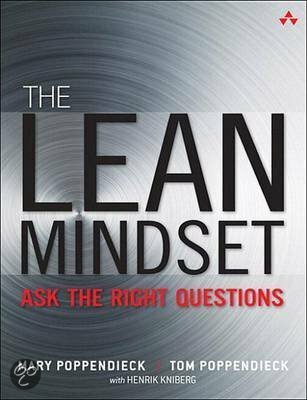 Why is also a great follow up questions for any of the questions from the first list, it helps you and your team to create a better understanding of the problem that you are investigating. Some people find it difficult to ask why, because they think or have experienced that people feel offended if they ask why. I have less difficulty with the why question, which may be because I have a genuine interest to understand situations and how people work together, without judging them. Once people know me, a “why” question doesn’t scare them. 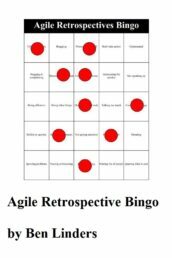 There are a lot of techniques for retrospectives. 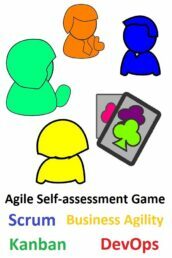 Getting Business Value out of Agile Retrospectives describes many of them that I have used in retrospectives. 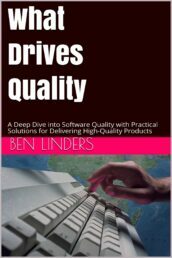 Some examples are Root Cause Analysis, Timelines, Solution Focused and the Perfection Game. I vary retrospective techniques, it has happened more than once that I decided to change the approach while I was in the retrospective meeting, because another approach seemed more appropriate for the situation at hand. Or just to try something new, to keep the team interested in doing retrospectives. If you want to learn new exercises and practice your retrospective facilitator skills then I suggest coming to one of my Valuable Agile Retrospectives workshops. 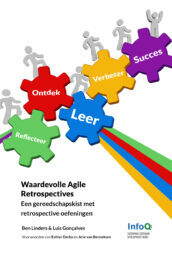 Retrospectives are a great way for teams to improve their way of working, to become more agile and lean. Getting actions out of a retrospective that are doable, and getting them done helps teams to learn and improve continuously. 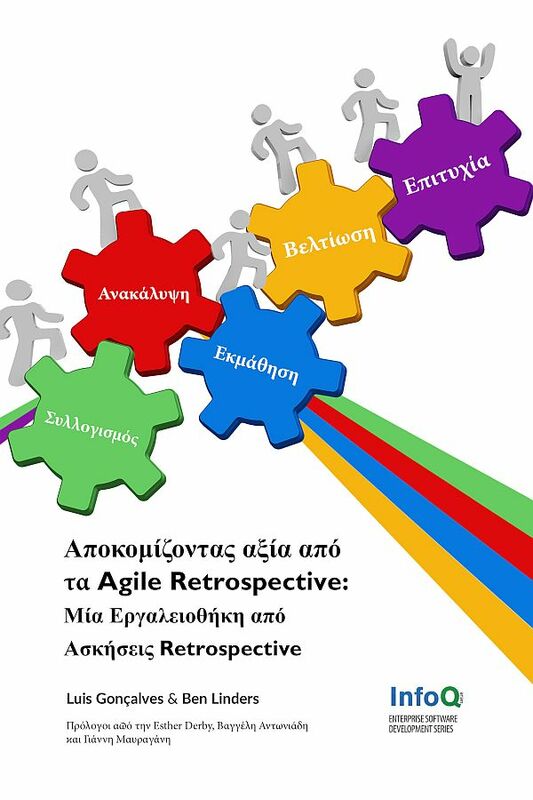 I’m always interested to hear about experiences with retrospectives, there is still a lot that we can learn! 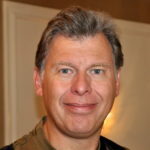 So I’d like to hear from you: Do you do Retrospectives? Which Questions do you ask? 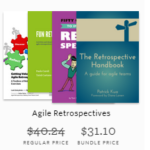 The Leanpub bundle Agile Retrospectives offers six great books to do amazing Agile Retrospectives. 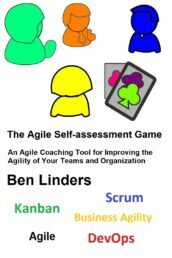 Together these books will make your Agile retrospectives rock! Teams will love to do them. And now you can get these books with a significant discount :-). 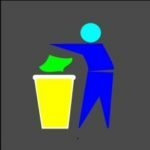 I posted this blog also in two groups on LinkedIn, in both groups there’s a great discussion ongoing right now. 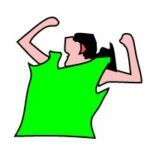 Feel free to join in, or react directly on this blog with a comment. 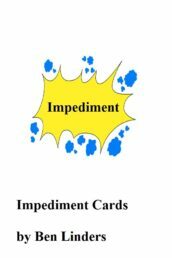 1- What is your biggest impediment? 2- What do you expect, from who? 3- What do you expect, from yourself? First two questions made people speak about blockers and their solution suggestions clearly with the assignee. People also answered the third question surprisingly honestly. I think these three questions were a good balance between “what I expect from others” and “what they may expect from me”. This is a challenging step to be a real team. 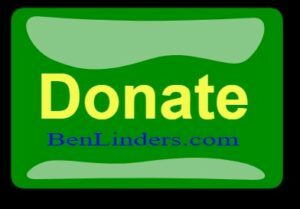 As you recommended in another post (https://www.benlinders.com/2014/retrospective-exercise-vital-few-actions/). We focused on a few actions items. Now we made a four steps plan to make the team to commit to challenging goals again. We will inspect and find out new challenges. Not an easy goal. Thanks for sharing your experience Özmen! Great to read that people were honest on what they can do themselves. In mature teams people help each other where they can, it’s the team result that counts but you can only get it through individual contributions. Change is almost never easy, but if you focus like you mentioned with the vital few goals chances increase that it will be successful.